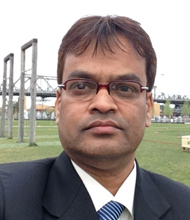 Abdul Bayes joined as the Director of Research and Evaluation Division of BRAC in June 2015. A renowned academic, Prof. Bayes has been teaching Economics at the Jahangirnagar University for forty years and is a former Vice Chancellor of the University. He is known for his substantial contributions in research on agriculture, international trade and rural development. Prof. Bayes was a member of the panel of economists for fifth, sixth and seventh five-year plans of Bangladesh, and has more than 37 years of experience in research and consultancy with IRRI, Asian Development Bank, Bangladesh Institute of Development Studies, World Bank among others. He is a member of the International Association of Agricultural Economists; Asian Society of Agricultural Economists and Bangladesh Economic Association. He did his masters in economics from University of New England, Australia and from University of Dhaka. Prof. Bayes has authored 15 books and regularly contributes articles in national dailies. Currently he is a weekly columnist at The Financial Express. Prof. Abdul Bayes leads the LANSA-BRAC team in Bangladesh. He regularly contributes articles on LANSA in Newspapers. Barnali Chakraborty is a Senior Research Fellow of the Research and Evaluation Division of BRAC Bangladesh. Since 2004, Barnali has worked for several nutrition and health research projects in different international organisations. Currently, she provides research support for different programmes and collaborative research projects in the area of nutrition. Barnali achieved a Masters in Public Health from the Royal Tropical Institute, KIT and Vrije University of Amsterdam. Barnali has published in a number of scientific publications and international journals. Barnali contributes to LANSA's research in Bangladesh. Fahmida is a staff researcher for the Food Security and Nutrition Research Unit of RED, BRAC. She has strong academic background in nutrition, food security and public health. She completed her MS in Nutrition and Food Science from INFS, University of Dhaka. Her areas of research interest are nutrition, public health, gender, WASH & development. She is fine-tuned in using specialized statistical software and has practical knowledge and experience on various research design and sampling strategy, instrument development, policy brief/report writing etc. Fahmida started her career as a researcher in the Institute of Nutrition and Food Science (INFS), University of Dhaka. She has several published research reports and books. Fahmida contributes to various themes for LANSA in Bangladesh. Abid is working as a Senior Agronomist in Agriculture and Food Security Programme of BRAC. He has a Master of Science in Environmental Science from Bangladesh Agricultural University, Mymensingh, Bangladesh. His work is focused on managing agricultural research project on different crops and cropping pattern, planning and executing social research on agricultural value chain addressing nutrition for the poor and pursuing climate adaptive research activities. Md. Abid-Ul-Kabir is a working scientist specialising in Agricultural Value Chain research in Bangladesh for LANSA. Sirajul Islam is the Programme Head of Agriculture and Food Security Programme of BRAC. He has more than 21 years of professional experience including teaching, research, consultancy and development work on Agriculture. His work is focused on planning and implementing the overall agriculture and food security programme of BRAC, doing innovative adaptive research on different crops, rice-based agricultural and aquaculture technology validation and dissemination in the farmer’s field for sustainable intensification of rice-based cropping and aquatic agricultural systems. Sirajul has a PhD in Agronomy from Bangladesh Agricultural University. Sirajul Islam is an Agriculture Expert working on agricultural Value Chain research for Bangladesh under the LANSA programme. Zeenat is an Information and Communication professional with experience in research, programme management, research dissemination, editing and publishing, organisational communication strategy and a keen interest in knowledge management. She worked for a long time in CIRDAP, a regional organisation for rural development in Asia and the Pacific and briefly at the BRAC Institute of Governance and Development. Zeenat did her Masters in Economics from Dhaka University. Zeenat is the Lead Research Uptake for LANSA in Bangladesh.